Don't restrict luxurious silk to the bedroom, try wearing this versatile top with jeans or under a jacket. 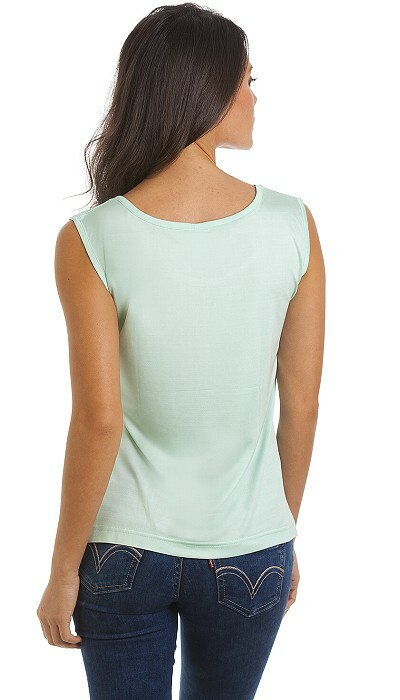 Made from heavyweight silk jersey this top has natural stretch and is supersoft against the skin. Length approx 20"/51cm. Made in China to our design.